reCAPTCHA & Multilanguage: What’s in Common? Still wondering what’s in common between reCAPTCHA and Multilanguage? To put the things right, both of these products have some updated functionality this month! In this regard, let’s get started because today we have some interesting news to get acquainted with! Google Captcha (reCAPTCHA) plugin is our first-priority issue to discuss. 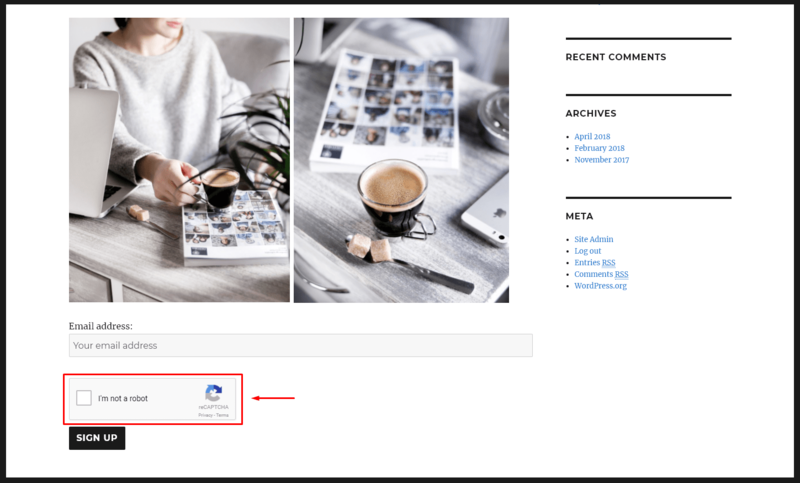 This newly added feature will be absolutely helpful for those who prefer to connect reCAPTCHA and MailChimp use on their website. We understand that improving the compatibility with other plugin forms is extremely important for the convenience of our customers. 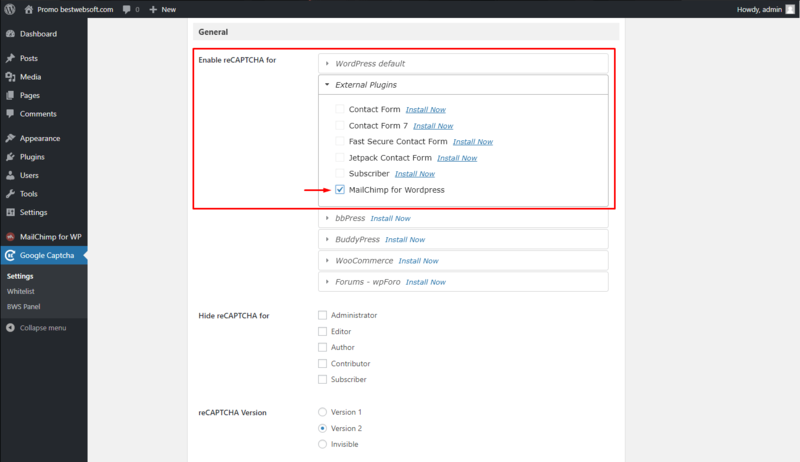 In order to check the update, you need to find “General” section on the reCAPTCHA settings page -> “Enable reCAPTCHA for” option -> “External Plugins” -> and mark the checkbox “MailChimp for WordPress”. Then, save the changes and enjoy the result! Are you ready for Multilanguage update? Get ready ‘cause we are happy to announce it! Open Graph technology was first introduced by Facebook in 2010. It allowed integration between Facebook and its user data and a website. 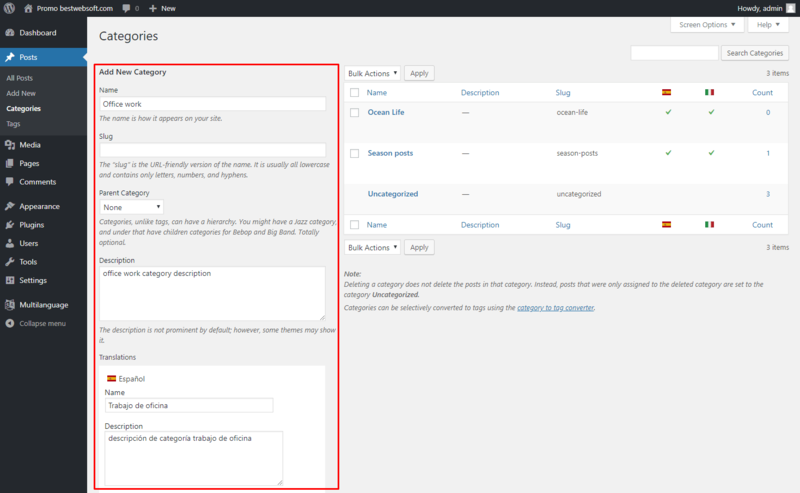 By integrating Open Graph meta tags into the page content, the website administrator can identify which elements of the page he wants to show when a visitor shares the page. With the new option, the customers have the ability to translate Open Graph metadata, namely title, type, description, image, URL, etc. Let’s see! 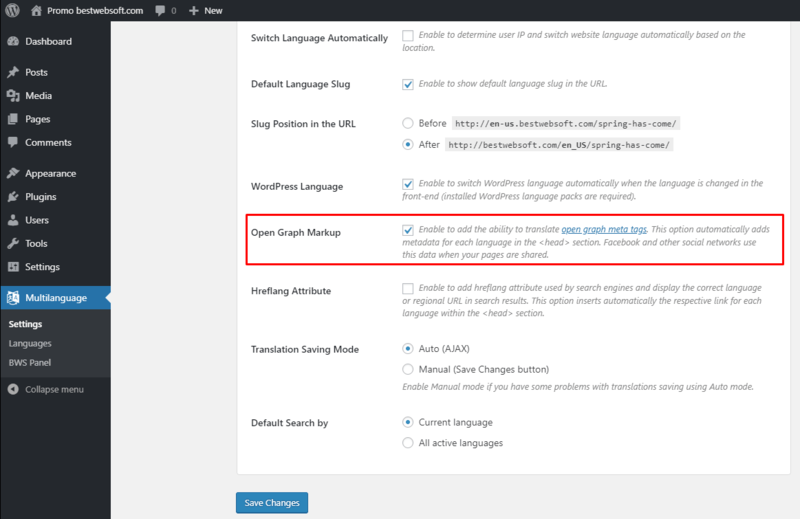 First, go to your Admin Dashboard -> Multilanguage settings page -> find and mark “Open Graph Markup” option. This option allows adding the ability to translate Open Graph meta tags, which are widely used by Facebook and other social networks while sharing the pages. 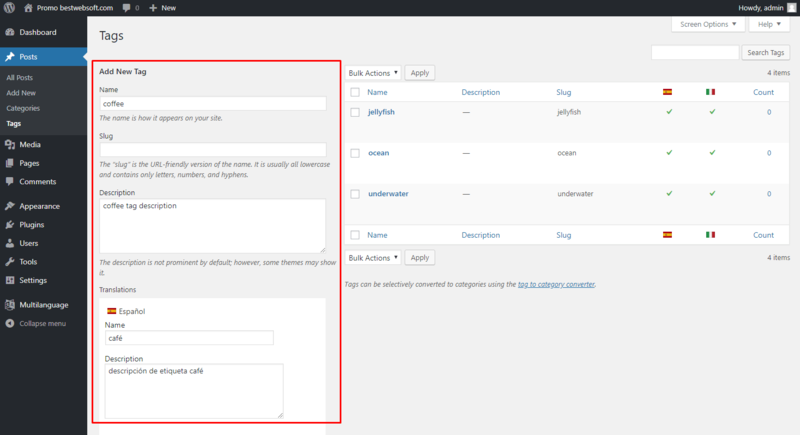 Then, go to the post editing page, complete meta tags for different languages and click “Update”/”Publish” button. 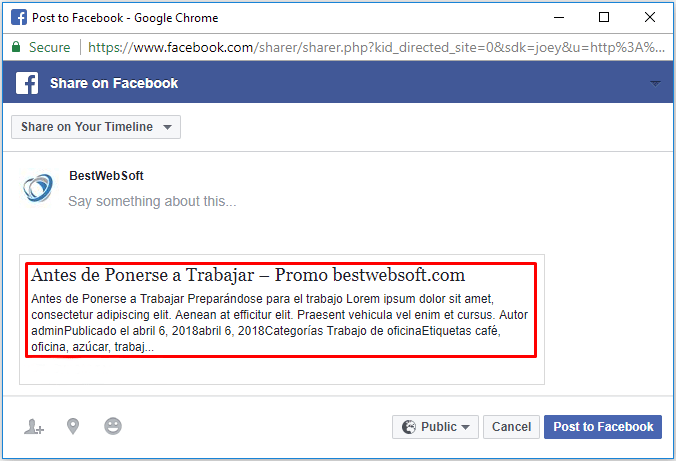 Click Facebook Share button for English and Spanish version of the post and check the result. 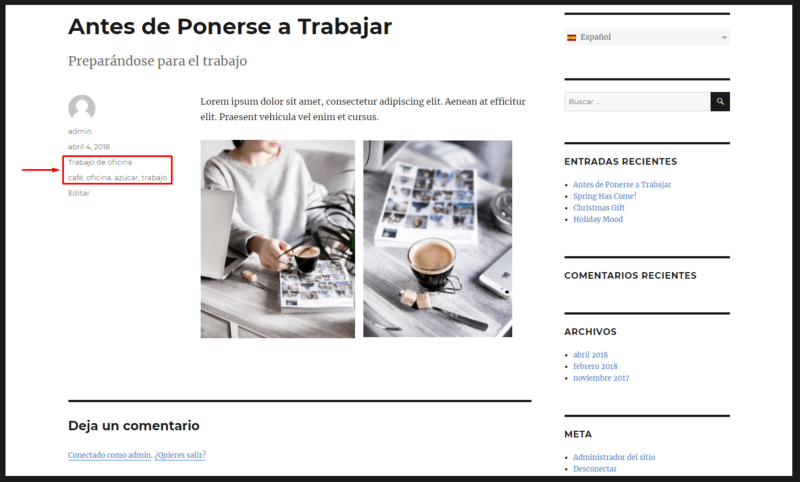 Another important Multilanguage update you need to know about is that it is possible to translate the post category and tags and their descriptions to the other languages. Navigate to Posts -> Categories and complete the data in different languages. The same applies to tags (Posts -> Tags). 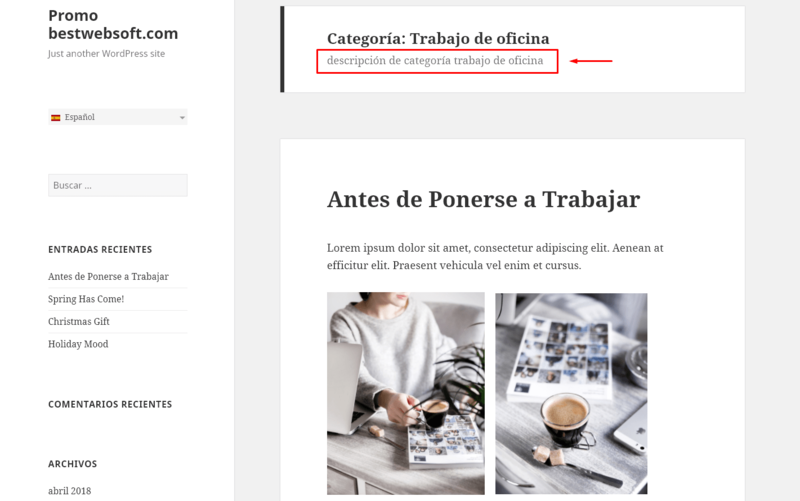 Now, when the user changes the language in the frontend, he will see the post category and tags translated to the chosen language. As well as the post category and tag description. Take care of your brand internalization and WordPress website security yet today with our plugins that are much in demand!